The academic regalia you see at convocation ceremonies today date to the 12th and 13th centuries, when universities were starting to take form. With few exceptions, education in medieval times was the sole pursuit of the clergy. This was the case for both students and teachers, which explains why all scholars dressed similarly. Come to think of it, that probably also explains why the dignitaries presiding over a convocation today look very similar to the graduates receiving PhDs. Centralized heating hadn’t been invented in the Medieval period, so bodies were kept warm by the long gowns (they were also fashionable at the time). The hoods are believed to have served two purposes: to keep the scholar’s shaved (tonsured) head warm, and as a place to store alms. Apparently academic fashion never changes, so that’s why the ceremonial garb we wear today looks very similar to what the clergy wore 800 years ago! In the past, students wore academic regalia everyday. That is no longer the case, as nearly every university and college only requires students to wear academic regalia at graduation ceremonies. There are some exceptions to this rule, but such institutions are few and far between. 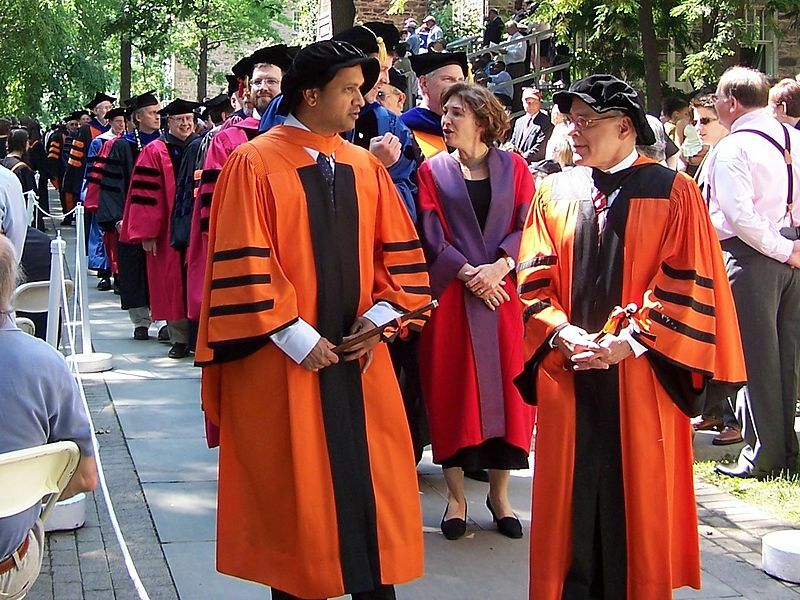 Gown sleeves are different for undergrads and Master’s, and PhDs have totally different regalia altogether. Hats differ by degree too. Graduates receiving undergraduate and Master’s degrees wear a mortar board, whereas PhDs wear a John Knox tam. Every institution has slight variations in their regalia. So there you have it. Way more information about academic regalia than you ever thought you needed to know. And just for good measure, here’s one more fact: don’t bother trying to adjust your mortar board to a “better” angle. It’s a battle that no one has ever won. 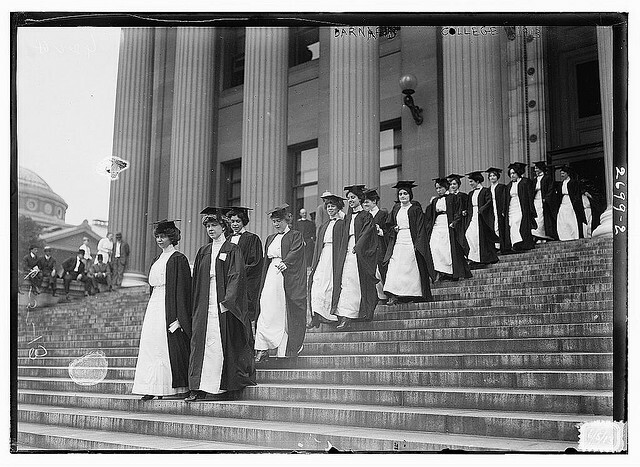 Congrats to all of the newly-minted graduates out there! If you haven’t taken Karl Marx‘s writings to heart, you’ll find the working world isn’t all that bad.